This past week, the Elf hasn't been very exciting around our house...he's been digging through packages, playing in a bird cage, but one day he just didn't do anything - LilMan was pretty disappointed to find him in the same spot. 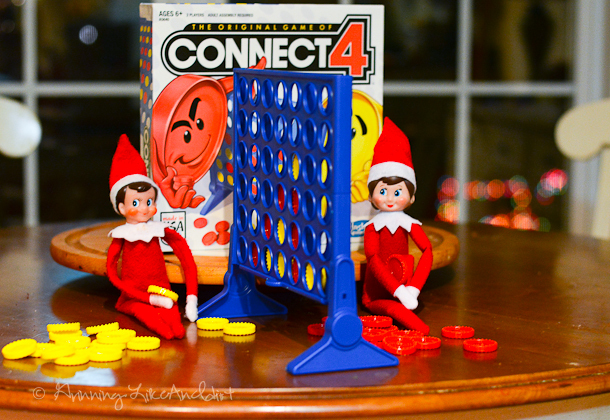 Luckily that night, our Elf got a visitor who brought a game! would help make things a bit more interesting. Now the big question is: "Is she now our elf, or is she just visiting?"